This is a sample of the 81 page CVC and CCVC packet in our store. 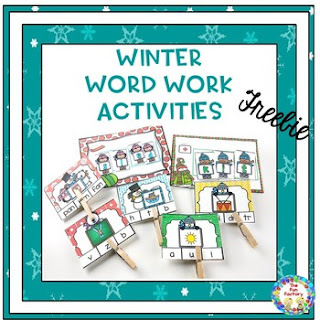 There are clip cards for your students to find the beginning sound, the medial sound, the ending sound, the beginning blend or the pictured word. Also included are word mats and letter cards for students to spell the words. All cards have winter themed clip art. Thank you for visiting The Fun Factory. Please follow usby clicking the star above to receive notices of new products. If you find this product useful, please rate it and leave positive feedback to receive TpT credits.